Nigerian music star Runtown is sure living his best life and spends his money just how he wants. The ‘Energy’ crooner bought himself a new pet. 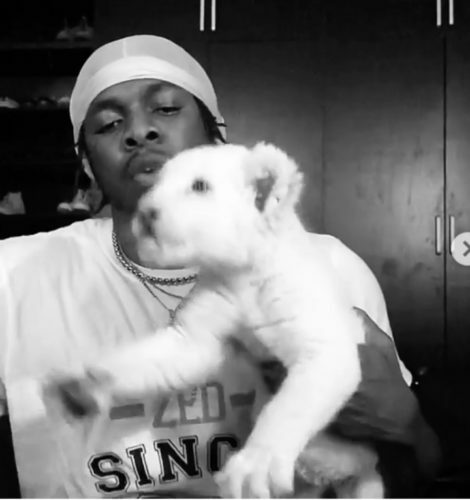 While others would have picked a dog as pet, Runtown chose different as he bought himself a lion for a pet. He shared a video of himself bottle feeding the the cub and a the pet’s official photo on Instagram. He captioned it thus, ‘Say hi to my pet Lion. What should we call him?‘. Some of his friends and colleagues have reacted differently to his new pet. Notably Davido said ‘God forbid‘.